Here are all my books. Note: this page is best viewed on a computer. There is a link to go to the Amazon page by clicking on the book, and then click Go to Link. Or click the Buy Here button to go directly to Amazon. Be sure to scroll down for more. 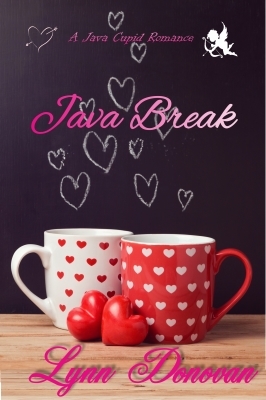 Java Break (Book 1) Contemporary Romance, Steam level 4. Wendy Ashton and Dillon Cayne were both inspired by broken bones of their own. She to become an orthopedic nurse, he an engineer, designing more efficient and effective equipment for those recovering from orthopedic incidents. Their two paths so closely aligned, yet never intersecting. Until a mysterious message appears in heat sensitive ink on Wendy’ coffee cup. A message of love that makes her take notice of the handsome barista who must have written it. Brought together by the message, their lives begin to merge. Could this be true love? Then together they learn that his dad is dating her mom and Dillon worries about the stigma of dating his possible step sister. Add a crazy ex-girlfriend who won’t take no for an answer and a misunderstood phone call, the trust issues become almost too much to bear. What will it take to bring these two together? Can the Java Cupid show them their Happy Ever After? Or was it all a mistake? Will broken bones turn into broken hearts? Answers can only be found with a Java Break. Tony Farroni is a second generation eco-warrior and wildlife conservationist, studying to be a veterinarian. In his everyday job as a Vet Tech at the Fremont County Zoo, he sees the evil aftereffects of hunters every day. Ashley LeFevre comes from a long line of hunters and pioneers who learned to live off the land in harmony with it. She’s studying Forest and Wildlife Conservation and Wildlife Management in order to set up and run a hunting lodge with her family on their ranch. She respects Mother Nature for the bounty she provides. She and her family can live off the land and survive in the wilderness for weeks without much more than a simple hunter’s backpack and a sleeping bag. Her day job as a barista at the Java Cupid Coffee Shop gives her the funds she needs to keep herself in fishing bait and ammo. Their lives collide the day that she waits on Tony and they argue the merits of hunting. Each wants the chance to show the other their side of the argument. Add in the message of love that appears on Tony’s coffee cup and sparks fly. Do opposites attract? Or are their differences too great to overcome? The Java Cupid seems to think they’re a match made in Mother Earth’s bountiful forest. But maybe this time the Cupid missed the mark. One thing’s for certain. 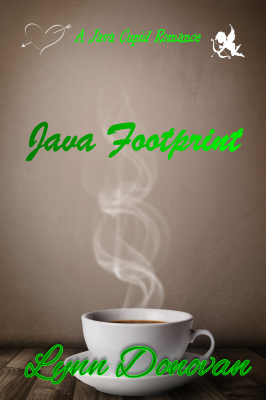 For Tony and Ashley, there is a huge Java Footprint. Sura Mlynarski, a third generation polish immigrant, who has survived poverty, homelessness, and being removed from her parents by Child Protective Services. Even though her parents rose above poverty and won back custody, Sura still fears being poor again. So even though her dream is to write, she is taking Business Management in College with the goal of opening a second dry cleaners in her parents’ franchise. Being financially secure is more important to her than following her dreams. Cody Baker has a free-ride through college provided by his parents as long as he gets a degree in anything that will let him teach. They being University Professors dream their son will follow their lead into a well-paying career of University teaching. Cody’s dream is to build houses. Specifically, he wants to contribute to the Habitat for Humanity projects to help families who have fallen on harder times. His secret obsession is writing poetry. Sura is intrigued by the super cute Barista who made her Chai Latte. When he gives her a cup with a heat-sensitive declaration of love, she is flattered. Then when he takes the open mic and reads the perfect Haiku poem he wrote, she knows Java Cupid is right: This is true love! But can she let go of her childhood fears when he expresses his desire to switch from a University Degree to a VoTech certification? Can Cody give up his dream to win Sura’s heart? Is the Java Cupid right? 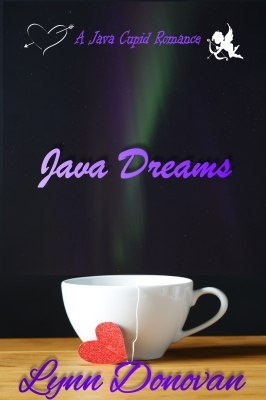 Can their love survive to fulfill their Java Dreams? The Java Cupid has its hands full this time round. The Cupid’s arrows have found Randall Tombstone and Stevie Murphy. The only thing they seem to have in common is their determination to save the Historic Rialto Theater in Florence, Colorado. But even their reasons for saving it are different. Randall has a secret, he can see those spirits that call the Rialto home. They have become his friends and he will do anything to save the Theater so they have a place to dwell. More than that he fights to make it the home they remember from when they were among the living. Stevie Murphy doesn’t believe in ghost and all that paranormal junk. While she wants to see the Rialto restored to its former glory, she does so out of her love for its historical and architectural significance. What she can’t stand is being forced to work with Randall who blames every set back on the ghosts he claims reside in the theater. When the cupid’s message appears on the cup of tea that Randall buys Stevie she wonders if their differences can truly be combined into a love relationship. Add to that a sudden strange attraction the two of them have, sparks and spirits are sure to fly. Can the Java Cupid, with the help of some well-meaning ghosts build a Java Masterpiece with Randall and Stevie? Or will Randall’s other secret end things before they can even get started? 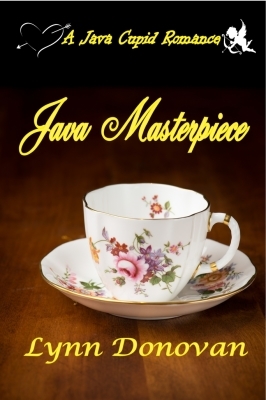 Only one way to find out: Read Java Masterpiece for yourself. If you dare! When a mysterious letter comes from a law firm in Colorado, he decides things just might be looking up. Now he stands to inherit a fortune, but it comes with a price. 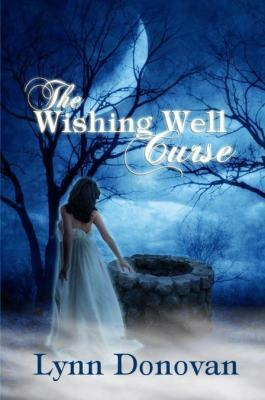 He must break a family curse and restore true love. What does he know about breaking a curse? And who is this Multi-Great Uncle Luther Clayton, who claims Zeke is the one. Can he piece together the clues left by his dearly departed? …And why does his three-year-old tattoo bleed every time he gets near the wishing well? The voices in Keisha's head know where her fiancé has been left for dead, but who will believe her? Keisha Moore has a secret which has been kept hidden her entire life, But when her fiancé, Clifford Valdez, disappears and the authorities dismiss it as lovers' remorse, she has to tell somebody. Can she make anybody understand the four voices in her head are real, and they know where Clifford has been taken? 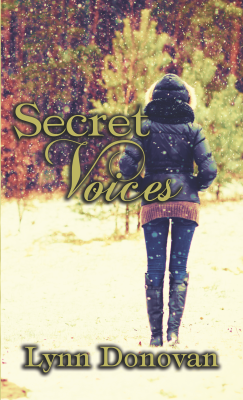 How can she save the man she loves without revealing her deepest secret? It's just an old rocking horse. At least, that's what Marah keeps telling herself. When renovating the old Smithy’s property with her husband, the antique rocking horse first evoked happiness, and Marah couldn't help but daydream about the possibility of a baby coming into their lives. Starting a family would be the perfect symbol of their recovering marriage. But then weird things start to happen. Even their dog can sense it. 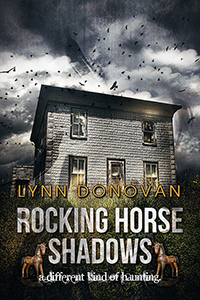 As weird quickly turns into terrifying, everything keeps coming back to the rocking horse—and the evil spirits who haunt it. Grace Avery’s husband was her rock, the foundation to her faith and her life. Now a young, grieving widow, she longs to have his baby, but artificial insemination fails her again and again. How far will she go to have his baby? She cries out to God, but He isn’t listening. When the Worship Team Leader asks her to come back and bless the congregation with her gift of sign language during the Christmas Eve Program, her stifling grief holds her back. 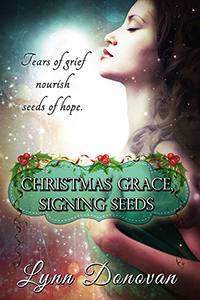 Can sharing her gift be the seed needed to reap the harvest she so desperately wants? Is God’s grace sufficient? Is there Christmas Grace? Two strangers headed down the same road for completely opposite reasons. Merry Gibbons wanted to be home to celebrate Christmas with a loving family. Chris Mastis was fleeing a loving family wrought with overwhelming problems, wanting nothing more than peace and quiet for Christmas. When road conditions bring on a need for shelter, the two wind up together in a cabin on a mountain found by a single lantern shining in a window. As they work together to survive the night, they learn things about each other and themselves that surprise them both. But the biggest surprise of all may be what is discovered in the light of Christmas Morning. Six hundred lightyears away, a dying civilization cries out in desperation. On Earth, a small band of faithful missionaries commit to bring reproductive technologies and the Christian gospel. The Abraham Project includes scientists, medical personnel, humanitarians, and philanthropist Austin Abraham. But, piracy taints the mission and the self-sacrificing soldiers of God are trapped—until one is smuggled back to Earth. Kita and Molly, daughters of Pastor Levi Jacobsen, react to the commission with polar responses—one goes, one stays. When Kita mysteriously returns sterile and claiming things that are impossible, Molly goes undercover. Can she disguise her lack of faith well enough to fake a missionary spirit or will she blow her cover? Dr. Deuce Abraham, Kita’s doctor after her return, is the last person Molly trusts. How can she possibly, he’s Austin Abraham’s son? Worst yet, he has joined the next pilgrimage. The very one she is on as a covert operative. He has legitimate reasons for going, but how can she believe anything he says? Should she rely on her tried and true gut instincts, or her stupid “gift of discernment”? 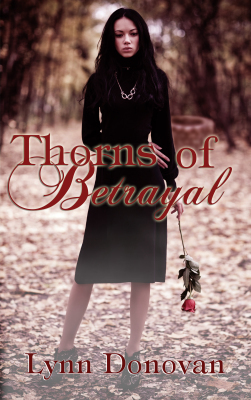 With no back up, one inside mole, and a mysterious contact, can she end this cradle of deception? Or will she loose everything, including her own fertility? After thirteen years Kita Jacobsen is returning to Omicron. 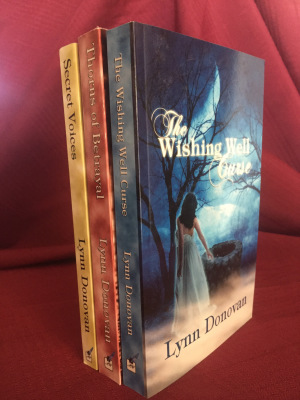 Will a series of mysterious disasters take it all away before she gets the happy ending she thinks she deserves? Molly Jacobsen-Abraham has the perfect life. When her family’s transport is destroyed, and then the survivors mysteriously continue to die, it’s obvious the Pirates are back. But the real test of her faith comes when she learns her baby has a life-threatening birth defect and the Pirates have a cure. Will she trust God for a miracle? 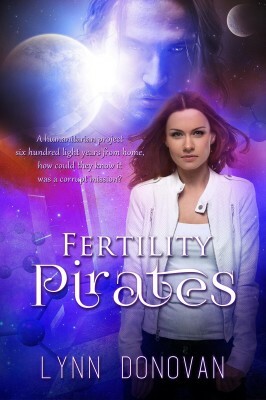 Lily Lupus must stop the pirates from attacking, keep peace between the world’s splintering factions, help Molly find a solution to her baby’s health, and raise her thirteen year old son. 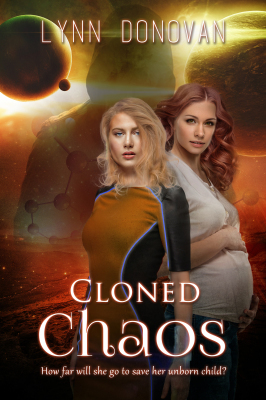 Will a mysterious stranger who is trying to kill the Jacobsen family succeed in creating Cloned Chaos? Sorry, No sales at this time. But there will be one soon. Please check back.